A wrongfully-convicted man finds that even after he is proven innocent, there's other justice in the world besides the law, and when his daughter is abducted, he has no choice but to seek revenge. Videocassette tape rental store owners fight against a religious fanatic group for the right to keep their controversial film on the shelves for sale. Toby Bishop: In Del Rio Texas, Saturdays were all about soccer. Fresh cut oranges, screaming parents, cheesy uniforms, teamwork and winning. I used to live for those games, and then one day I just stopped caring. 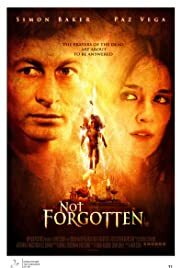 I just saw a pre-screening of Not Forgotten and was blown away! This is one of the best movies I have seen in a very long time. It had more twists and turns than a Texas tornado! Dror Soref is a genius- he kidnaps your senses and emotions from the very beginning of the movie and holds them hostage till the very end. The music, by Mark Isham, is haunting and dark. It draws you in even more keeping you in constant suspense. 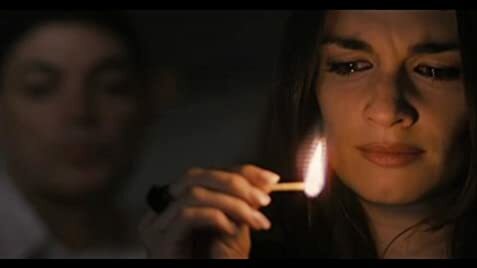 Simon Baker and Paz Vega are excellent- great performances by both. Claire Forlani also does an incredible job- she needs to be listed under the IMDb cast list! This movie keeps you guessing- it one one twist after another. The ending is a real shocker- you definitely don't see it coming! Not Forgotten is fantastic! Everyone has to see it! I want to see it again.